More than five months before the Boston 2024 Olympic Games bid can even be officially accepted by the International Olympic Committee (IOC) on September 15, the bid committee and the United States Olympic Committee (USOC) have been crushed by aggressive local media, and further reporting has spun-off internationally. 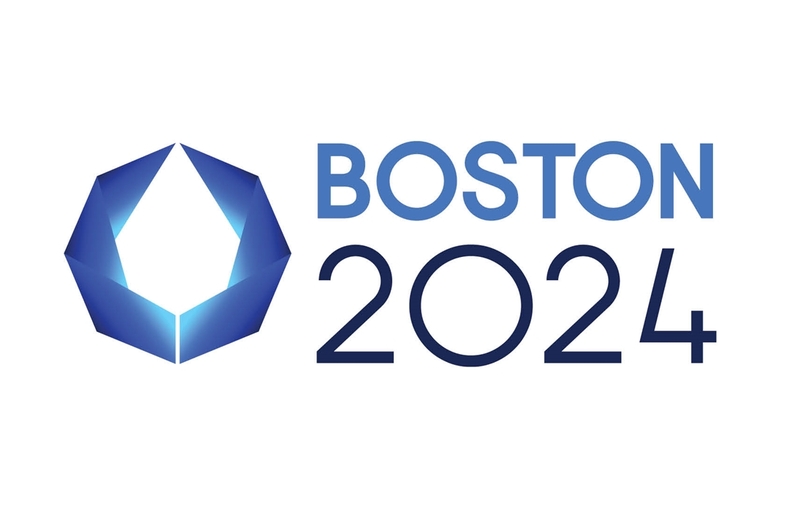 The churn of polls showing low public support for the bid has led to rumours that Boston 2024 was about to be dropped, promptly drawing a response from the USOC to the contrary. Still, the hashtag #pullthebid continues to echo on Twitter. But wait, all of the drama thus far is just a hint of what may be in store for the city. Is Boston 2024, the USOC and the press across Massachusetts ready for what is about to come next? 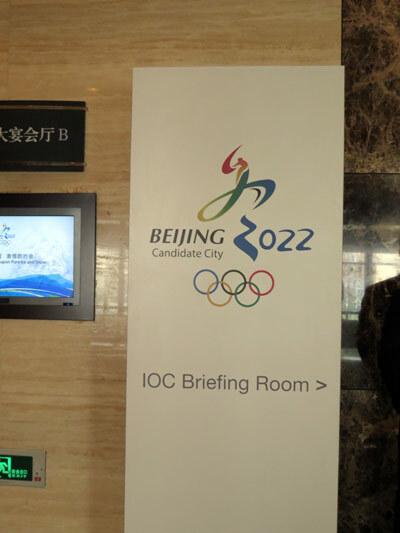 I just arrived back from last month’s IOC Evaluation Commission visit to Beijing to explore the city’s bid for the 2022 Olympic Winter Games, and January’s equivalent visit to Almaty, Kazakhstan. Under Agenda 2020, the IOC promises to be more open, more transparent and more constructive. While that may apply to the bid committees – there seems to be a disconnect with the media and general public. 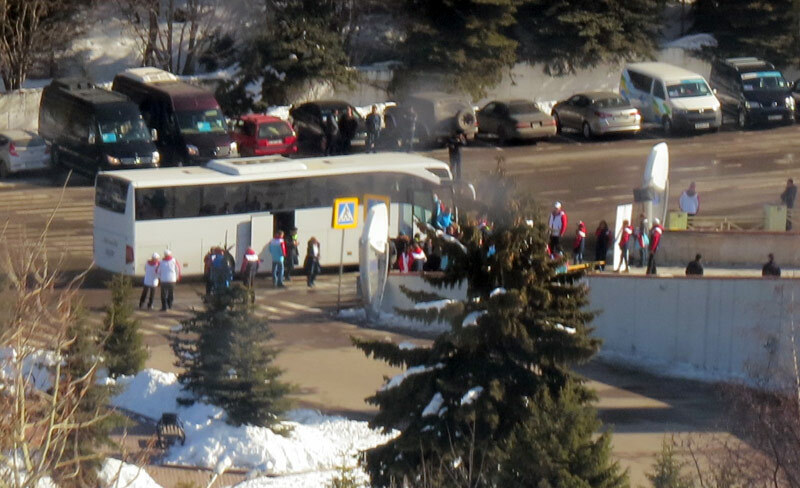 Nineteen members of the IOC’s team including members, experts and support staff were whisked into town, welcomed by ceremony and then escorted to their luxury hotel accommodation. The IOC pays for it, mind you, so it’s not really a big deal. In the hotel secured by “mag and bag” airport style screening, the teams met in a large conference room behind tightly closed doors. Then, at times never announced, members are transported to various venues and cultural sites that are also under similar security protocols. This extremely high-profile team that could potentially be forming the opinions of those who could change the future of the city generally remained out of sight to all except the most diligent paparazzi – and they did this for five days. Meanwhile, like felons on trial awaiting the return of a deliberating jury – everyone else waited for the Commission’s verdict. It eventually comes after the conclusion of the final meeting in the form of 30 a minute press conference – but not yet. Fast forward two years when a similar IOC team arrives at Logan International Airport. We don’t know who the rival bids are or the order of the visits yet so we’ll assume the team of experts and officials are arriving from Paris after that city received an enthusiastic thumbs up from the Evaluation Commission Chair. At the airport reporters, kept at a distance, ask the arriving experts their thoughts on Paris. They won’t answer – it’s against their own rules to enter into discussions or comment about the bids during the visit. The most you will get is a smile. Reporters may then turn to Boston 2024 and ask whomever is leading the bid at that point what their thoughts are of Paris’ evaluation. There will be no comment. Bids may not speak about other bids at any time during the race – to do so may result in some kind of reprimand. During the visit, the bid committee will keep the media, both domestic and those who have travelled from international locations and the opposing cities, up-to-date on the general activities of the Evaluation Commission – and they will continue to extol the benefits of the bid. But if a reporter or camera crew happen to track down the IOC team exiting Fenway Park or strolling Boston Common and they shout a question across to one of the members – they shouldn’t expect an answer. They may get a nod, a smile, or an annoyed glance – but not much else. And those are the rules. In fact, a pre-arranged photo opportunity for reporters in Beijing was cancelled at the IOC’s request last month, presumably because an international reporter posed a question to the IOC team during a similar opportunity in Almaty, after being asked not to do so. Opposition groups such as No Boston Olympics, as in the past, will likely get a short audience with the Evaluation Commission team. But this too will not be discussed until the scheduled press conference just before the IOC team sets to depart the city. And that press conference will be extremely limited. In Beijing there were more than 200 accredited members of the media at the final press conference. Reporters from China and Kazakhstan, those internationally from United States, Britain, Canada and others representing the wire services all tried to get in several questions during the 30 minute window – but only a few managed to get one. 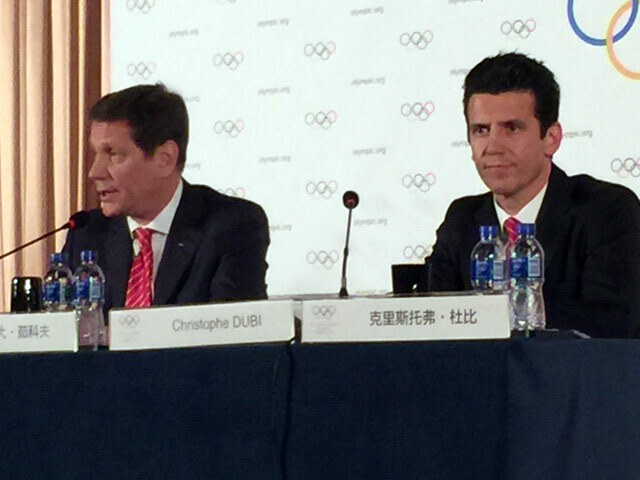 Commission Chair Alexander Zhukov and IOC Executive Director Christophe Dubi happily answered the questions they received diplomatically, and without follow-ups. Then they swiftly left through security preventing any further possible media scrum. It will be more than two months before any further comments are published. Imagine this for Boston. No matter how much transparency the bid promises, in some cases it is simply out of the bid committee’s hands. For the IOC this makes sense. They’ve got their work to do, and as a neutral entity in the race they don’t want to be pressured on the spot to construct a diplomatic response. The members also represent the Olympic brand, and they can’t risk conveying an off-brand message, especially about a city that could become a franchise partner. Believe it or not – for people that support the Olympics and a bid for the Games in their city – this works. Groups of volunteers, sports clubs, schools and businesses get behind the bid. They’ll support the Evaluation Commission visit hoping to get it perfect to increase their city’s chances in the election. But that only happens when public support is behind the bid, not when it’s at 36 per cent as it is in Boston now. The secrets don’t stop there. Two key documents prepared by the bid committee – the initial questionnaire response and the full application files (known as the bid books) – are to be kept securely under wraps until the IOC submission deadline has passed and the IOC gives its okay to release them usually a day-or-two later. These documents, hundreds of pages in length, basically lay out the bid plans in detail. Keeping these plans secret is actually of strategic importance to each bid so it’s not a surprise that officials don’t want to disclose many details ahead of the deadline. But as the documents contain promises that will eventually become part of the host city contract should the bid win, the lack of early disclosure could be unappetizing to the wary. The Olympics, and Olympic bids are not for every city. This may hold true for the City of Boston. But if there is any city that can face seemingly unsurmountable odds and rally around an effort to beat them, a city that can embrace a battle cry and surge to victory, Bostonians would agree they are that city. With Hamburg and Rome already in the race and Paris set to enter the fray next week, the USOC needs a city like Boston representing America for the next Games – but will need to get its citizens on board with the bid first.